A rendering of the Harlem School of the Arts’ glass facade. Photo: Imrey Studio LLC and Hite Studio PC. 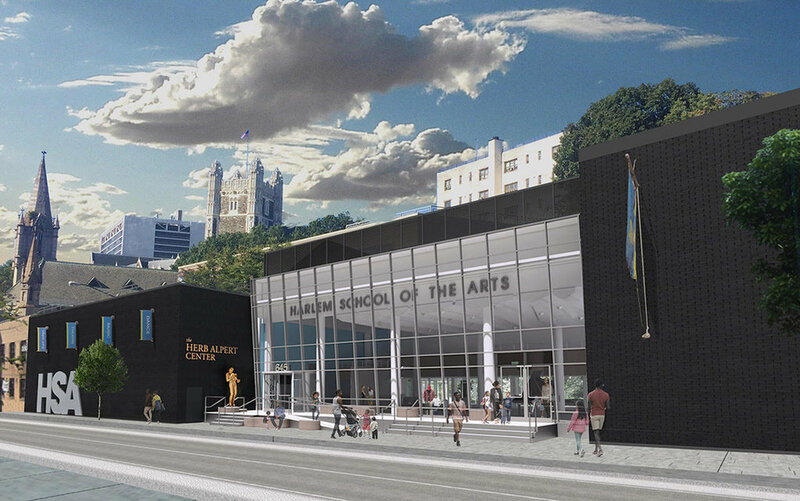 The Harlem School of the Arts announced that it is planning a $9.5 million renovation. The institution’s 1970s building will get a new glass facade, a new roof, and new windows. It will also overhaul its cafe, lounge, and garden. Dubbed “The Renaissance Project,” the initiative will be led by Imrey Studio and is estimated to take a year. Founded in 1964 by concert soprano Dorothy Maynor, the school aims to enrich the lives of young people and their families through training and exposure to dance, music, theater, and the visual arts. In 2012, Alpert helped the school climb out of debt with a $6 million gift that also allowed it to restart its financial aid programs and scholarship fund.